MONTPELIER – Baseball is a seven inning game which means you have to be ready to play in the first. Montpelier was ready to play in the first couple innings of both games of a doubleheader and Evergreen wasn’t as the Locomotives took advantage of walks and errors in the first half of the doubleheader for a 10-2 win, and then used a big first inning offensively in the nightcap to pace a 7-4 victory. In the opening contest, Viking starter Tom Pollard hit leadoff batter Colin Crisenbery with the game’s first pitch, then walked two more that led to a 1-0 Loco lead in the first. Things got worse in the second as three more walks, a botched pickoff, an error on Mason Henricks, another on David Carroll, Crisenbery’s run-scoring bloop single, and a sacrifice fly led to five Montpelier runs and a 6-0 lead. Two more unearned runs scored in the fifth on Bryce Eisel’s throwing error to make it 8-0. Loco starter Bryor Bentley brought his “A” game, as Henricks’ lead-off single was the only hit for the Vikings through five innings, as the Loco right-hander struck out eight during that time. Evergreen rallied in the sixth when Henricks walked, Bryce Hudik singled to right center and Jack Krispin walked to load the bases. However the threat stalled when Tylor Yahraus shot down Henricks trying to score on Sam Lubinski’s fly ball on a hotly disputed play at the plate. Zack Lumbrezer walked to reload the bases, and a pair of wild pitches brought home two Evergreen runs but Bentley got Landon Vance on a sharp grounder to short to end the inning. Connor Yahraus’ two-run double in the sixth plated the last two Loco runs. Bentley allowed just three hits, and walked four, three of those in the sixth when he tired and needed relief help from Blake Altaffer. In the nightcap, the Locos came out swinging in the first, scoring four times on four hits to go with a hit batter and a walk off Eisel. Bentley, starting pitcher Tanner Sanders, and Brock O’Neal each had RBI singles in the opening frame. The Vikings got two back in the third. Brock Hudik beat out an infield hit, Henricks singled, and Krispin drew a two-out walk to load the bases to set up Bryce Hudik’s two-run line drive single to cut the Loco lead in half, 4-2. Singles from O’Neal and Tyler Rupp, then a wild pitch got one back for the Locos in their half in the third, but Evergreen put together another threat in the fourth. Sanders walked Eisel and Vance to open the inning and Brock Hudik came through with his second hit of the game, a shot up the middle to score a run and put runners at second and third when Hudik advanced on the throw to the plate. However, Lumbrezer whiffed on a squeeze attempt and Vance was cut down between third and home to squelch the rally and leave the score at 5-3. O’Neal’s double and singles from Connor Yahraus and Crisenbery plated two more runs in the fifth and ended the day for Eisel, but Krispin ended the Loco rally, shooting down Tylor Yahraus trying to take third on a short wild pitch. Evergreen had one more chance in the seventh. Carroll drew a lead-off walk off Altaffer, Henricks did the same one batter later, and Baumgartner reached on an infield hit to load the bases. Bryce Hudik’s one-out sac fly made it 7-4 and brought the tying run to the plate, however, Crisenbery hauled in Lubinski’s drive to deep center to end the game. Bryce Hudik paced the Viking offense going 2 for 3 with three runs batted in. Brock Hudik also had two hits and a RBI. O’Neal went 3 for 3, while Crisenbery and Dakota Benner each had two hits to pace the Locos’ 12-hit splurge. 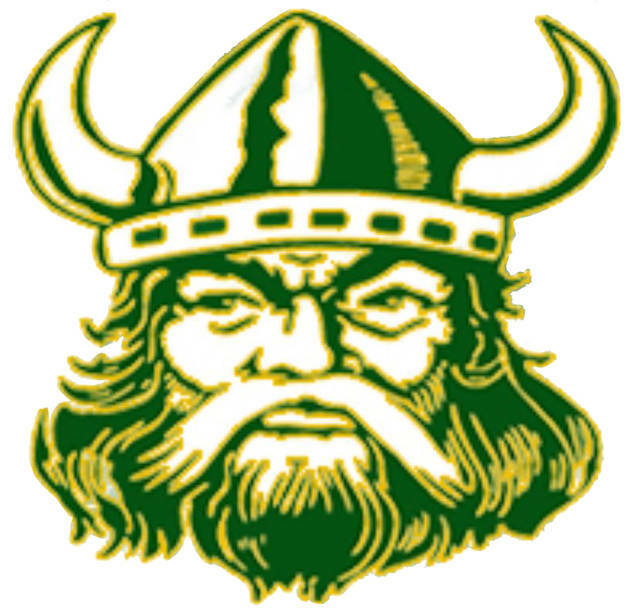 Evergreen hosts Swanton Monday, the Vikes travel to Delta Thursday, Hilltop on Friday and Edgerton on Saturday.